This Santa is actuall Superman's father, Jor-El! Kid: No way!! Superman is not imaginary, he is real. 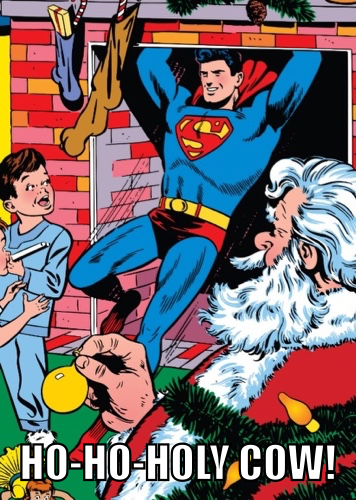 Superman and Santa explain to Little Jimmy why the only smoking that should occur on Christmas is from the fireplace. Holy moly, when I asked Santa for a Superman figure I didn't expect this!